“Entre les Vignes” is built in the old traditional Languedocian way and is surrounded by very old vineyards. 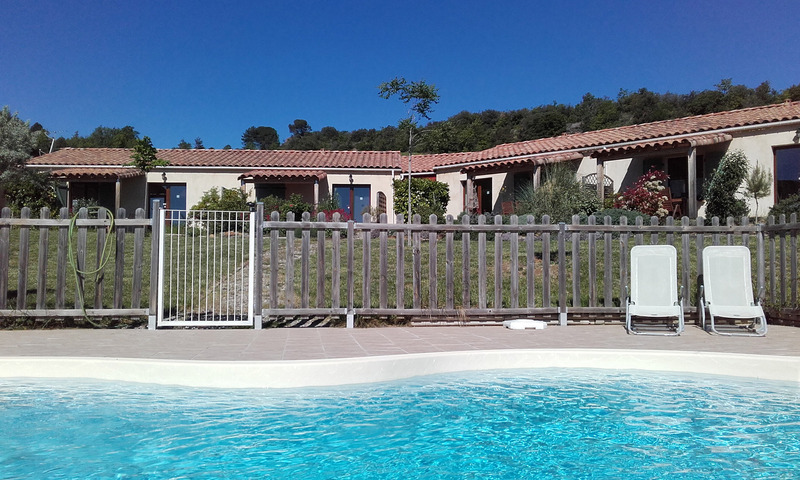 We live with our family in the Aude, the “Pays Cathare”, in the Languedoc-Roussillon, where we rent out our 4 comfortable gîtes***, located around our swimming pool. One of our gîtes is accessible to wheelchairs. 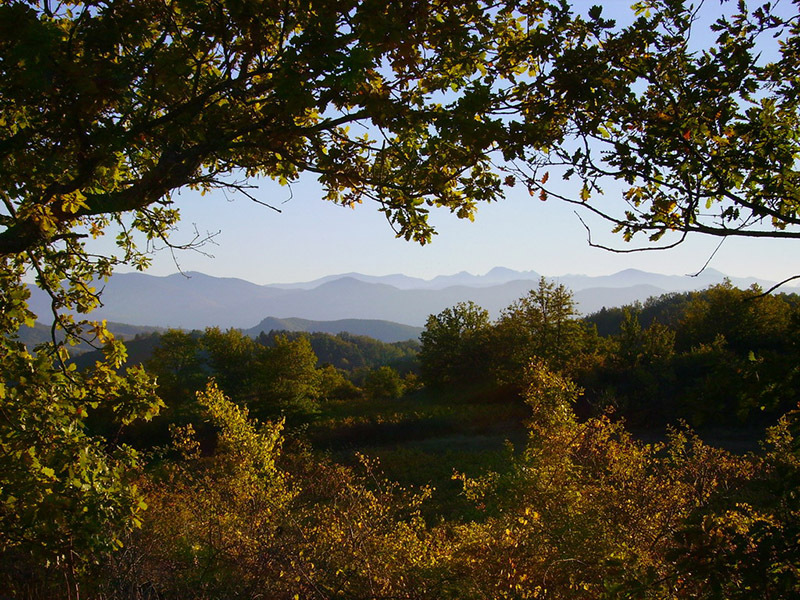 We consider this therefore as the most beautiful region of France! Having lived in the southern French Alps for nearly eight years, we came on holiday to this beautiful area and fell in love with it right away. So we decided to exchange the mountains for the sunny vineyards and mysterious castles of the Aude.Around “Entre les Vignes” it is very quiet: it’s situated on a quiet little lane with no passing traffic, 500 meters from the village Tourreilles. Both from the gîtes as from the pool you have a magnificent view on the surrounding vineyards of the AOC “Blanquette de Limoux” and on the hills of the Corbières! 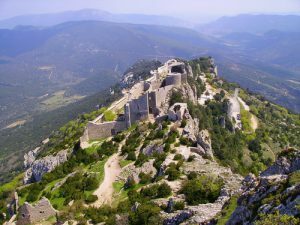 You’ll find beautiful, rough castles, such as Peyrepertuse with its mediaeval festival, Queribus, Puilaurens, Thermes, or the mysterious Montségur from the Grail legend. 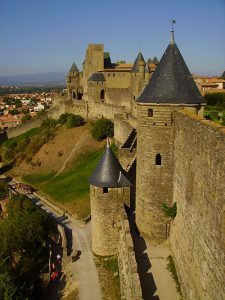 And of course the magnificent medieval Cité of Carcassonne, with its knight tournaments and summer concerts: this is the best preserved mediaeval walled city of France and is on the World Heritage list of UNESCO. The romantic Canal du Midi, where you can walk or cycle in the shade of centuries old plane trees and watch the boats in the little old sluices (or take a trip on a canal boat), is also on the World Heritage list of UNESCO. There are plenty of old villages and towns nearby. 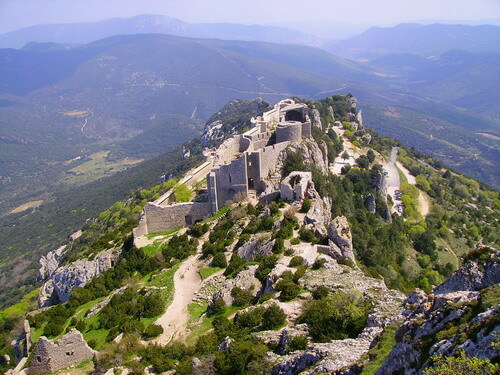 Such as the mediaeval market town of Mirepoix with its Basilique and cosy square full of terraces, St. Hilaire with its abbey, Foix with its citadel, the old health resort Alet-les-Bains with its spring water and abbey ruins, or Rennes-le-Chateau with its mysterious treasure, and in the health resort of Rennes-les-Bains you can find hot thermal baths, especially for rheumatism. Limoux : has a big weekly market on Friday morning and an evening market on Tuesday (July & August). Esperaza : has a very nice market on Sunday morning, where you’ll find many local- and organic products. 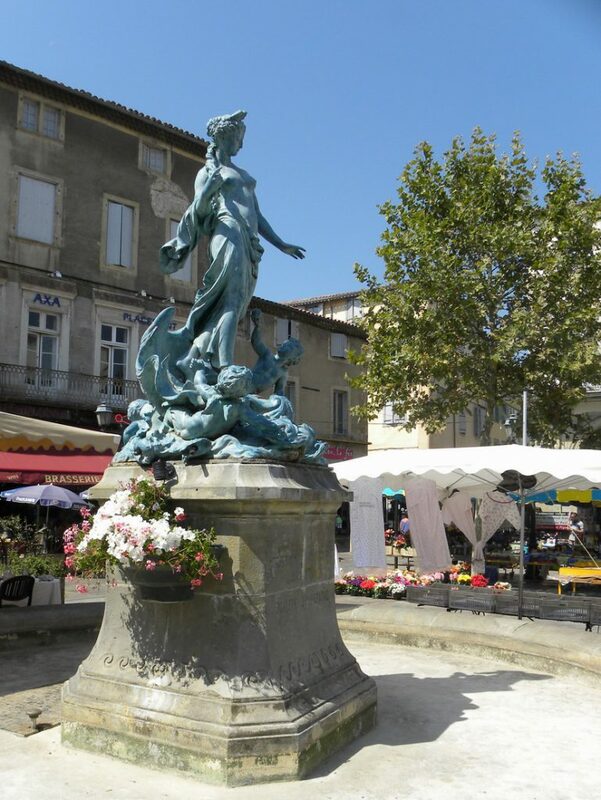 Mirepoix : has a large and nice market in the historic center on Monday morning. Limoux is located at 6 km from our gîtes. It is a nice little old town situated on the river Aude, and has a lovely square with lots of terraces. During summer there are weekly evening markets, antique markets, free concerts and an international dance festival. In many other little towns nearby you’ll also find plenty of cosy cafes, markets, flea markets and village festivals (feria’s). In Limoux, or in one of the 40 surrounding villages, one of the largest wine festivals of France is organised each year, the weekend before Easter. You can taste the fine wines from the region and you can eat at one of the open air restaurants. The proceeds are used for restoring the church of the organizing village. Everything takes place in the open air, where many bands turn it into a great festival! There are many beautiful walking tours which then go through rolling vineyards, then across open tops with stunning views! Also on your bike you can let off steam. The Tour de France comes every year nearby and passes regularly by Limoux. In the area you can swim in several lakes, on the river Aude you can go canoeing and rafting and the climbers will like the tree climbing parks. The mountains of the Pyrenees (where you can ski in winter) are at an hour’s drive. Andorra is at 2.5 hours. The beaches of the Mediterranean, for example Narbonne-Plage, St. Pierre, Gruissan, or Porte la Nouvelle, are also about an hour’s drive. “Entre les Vignes” is a lovely place in a beautiful region! With our family we live at “Entre les Vignes”, so we are always around to answer your questions or to give more information about the area.